UNITEK 10 Port USB Smart Charging Station. 10 Port 2.4A Type-A. Max UNITEK 10 Port USB Smart Charging Station. 10 Port 2.4A Type-A. Max Power: 96W. Over-charge, over voltage, over heating and short circuit protection. Includes adjustable separators. UNITEK 36W 4 Port USB Smart Charging Station. Max power output UNITEK 36W 4 Port USB Smart Charging Station. Max power output 2.4A. Adjustable separator (slats). Over-charge, overheat and short circuit protection. 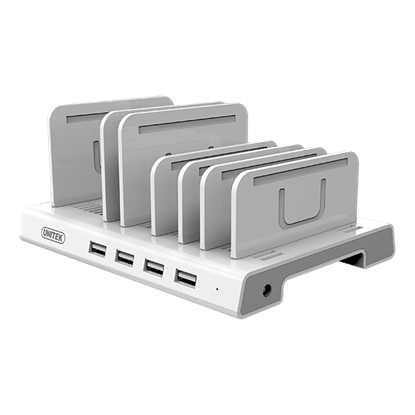 UNITEK 10-Port USB Smart Charging Station. (9 Port 2.4A Type-A + 1x UNITEK 10-Port USB Smart Charging Station. (9 Port 2.4A Type-A + 1x Port QC 3.0 Type-A) Max Power: 160W Rapid charging. Over-charge, over voltage, over heating and short circuit protection. UNITEK 10 Port USB Smart Charging Station (8 Port 2.4A Type-A + 2x UNITEK 10 Port USB Smart Charging Station (8 Port 2.4A Type-A + 2x Port QC 3.0 Type-A). Max Power: 90W . Rapid charging. Over-charge, over voltage, over heating and short circuit protection. UNITEK 96W 8-Port USB Smart Charging Station & Wireless Fast UNITEK 96W 8-Port USB Smart Charging Station & Wireless Fast Charger. Rapid charging BC1.2 power output up to 2.4A. 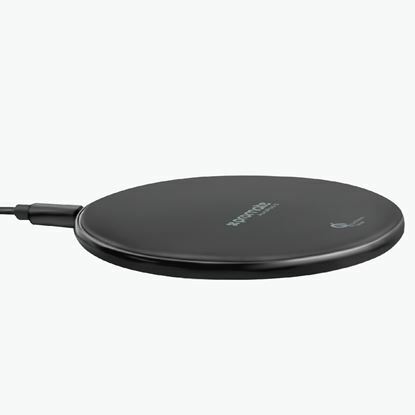 Support all devices with Qi wireless charging. Adjustable separators. 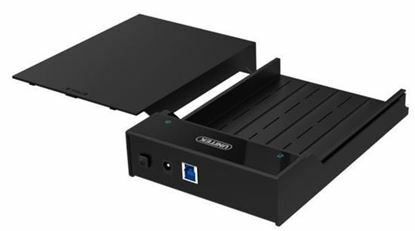 UNITEK 120W 8-Port USB Smart Transformable Charging Station. 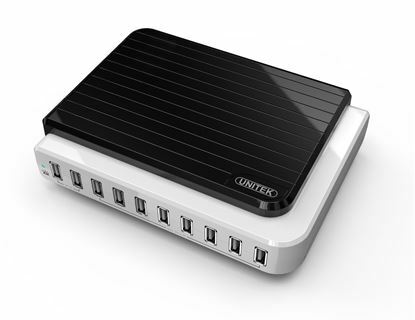 UNITEK 120W 8-Port USB Smart Transformable Charging Station. 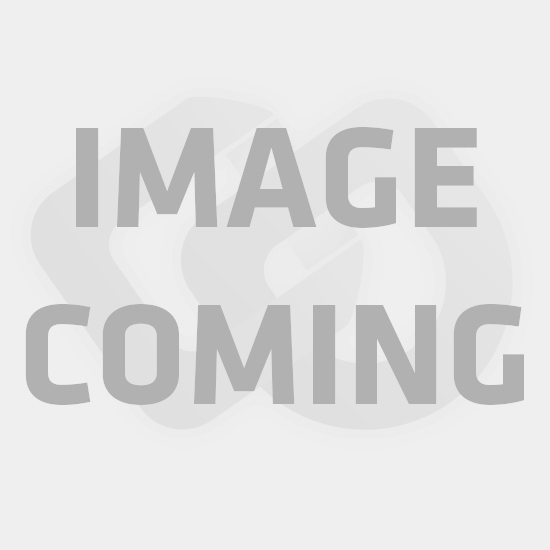 6-Port 2.4A + 1-Port QC3.0 + 1-Port PD60W. PROMATE Ultra-Fast Wireless Charging Dock with LED Light. 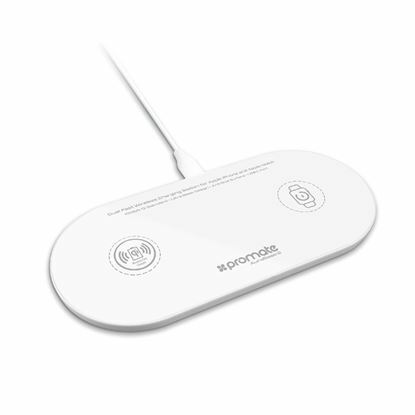 PROMATE Ultra-Fast Wireless Charging Dock with LED Light. Anti-Scratch Surface. Anti-Slip Design. Over-Heating Protection. Colour Black. 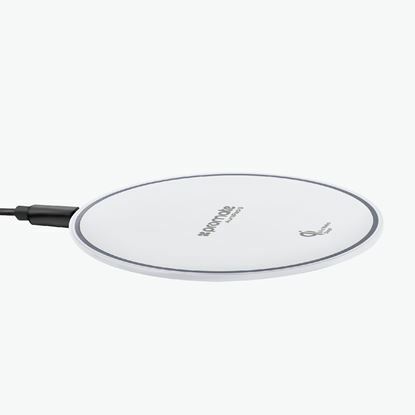 PROMATE Ultra-Fast Wireless Charging Dock with LED Light. PROMATE Ultra-Fast Wireless Charging Dock with LED Light. Anti-Scratch Surface. Anti-Slip Design. Over-Heating Protection. Colour White. 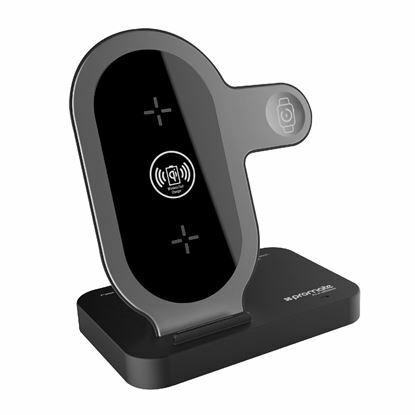 PROMATE Universal Smartphone QI Wireless Charging Stand with Dual PROMATE Universal Smartphone QI Wireless Charging Stand with Dual Coils. Compatible with all Qi compatible devices. Over-heating, over-current & short-circuit protection. 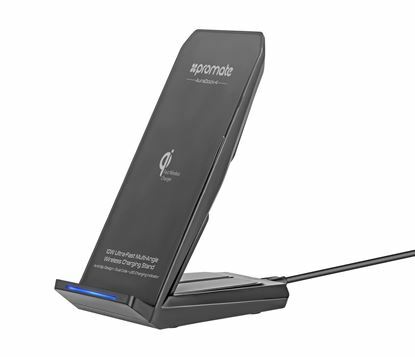 PROMATE 10W Ultra-Fast charging stand. 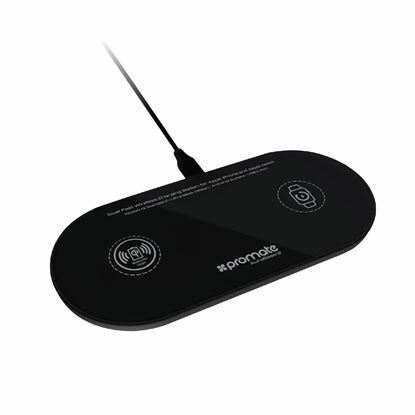 Wireless charging stand PROMATE 10W Ultra-Fast charging stand. 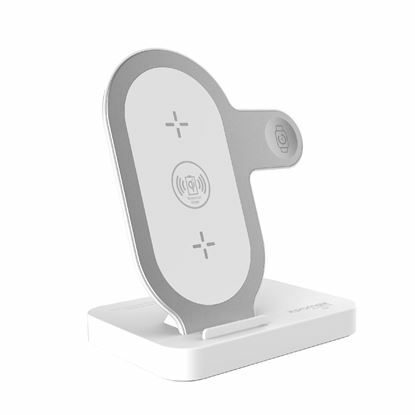 Wireless charging stand with flexible multi-angle docking. Charging distance 3-8mm. Anti-Slip design. Colour black. UNITEK USB3.0 Multifunction HDD Docking Station with USAP, 1x Port UNITEK USB3.0 Multifunction HDD Docking Station with USAP, 1x Port SATA 6G for 2.5"/3.5" HDD + 2x Port USB3.0 + 1x Port SD/Micro SD Card Reader. UNITEK USB3.0 to Dual SATA HDD Aluminium Docking Station with UNITEK USB3.0 to Dual SATA HDD Aluminium Docking Station with Offline clone function. UNITEK USB3.0 to SATA 6G Converter Super-Speed 5Gbps Supports 2.5"/ UNITEK USB3.0 to SATA 6G Converter Super-Speed 5Gbps Supports 2.5"/ 3.5" HDD, SATA & SSD HDD. 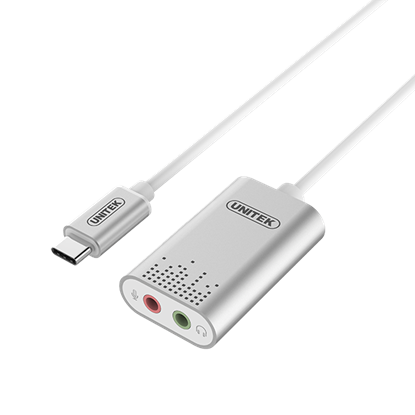 Power Adapter & USB Micro-B to Type-A Cable Incl. 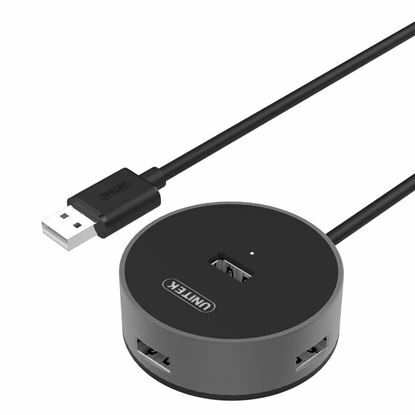 UNITEK USB-C Desktop Multimedia Docking Station. 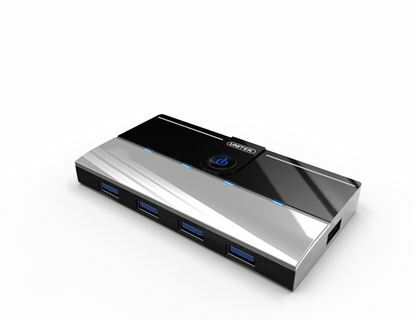 3x USB2.0 Ports, UNITEK USB-C Desktop Multimedia Docking Station. 3x USB2.0 Ports, 1x USB-C, PD, SD/Micro Card Reader, and 1x 3.5mm Stereo Audio out. Colour Black. 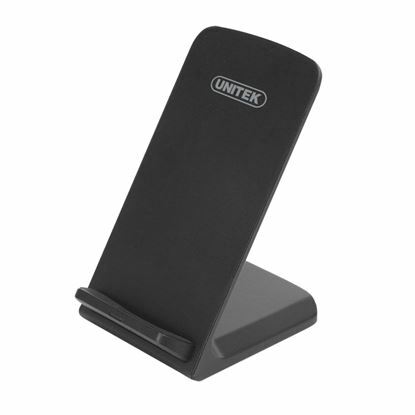 UNITEK USB3.0 Universal Docking Station. 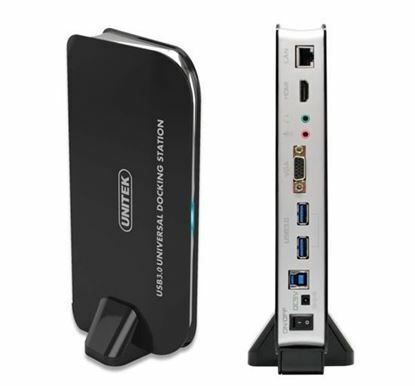 Includes 1x Ethernet Port, UNITEK USB3.0 Universal Docking Station. 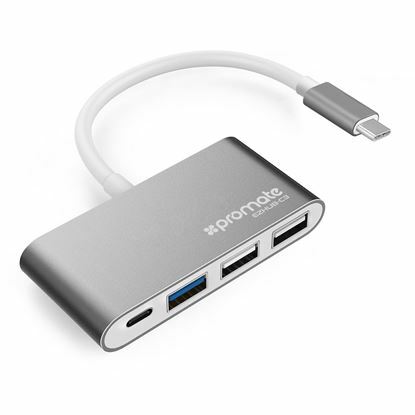 Includes 1x Ethernet Port, 1x HDMI Port, 2x 3.5mm Jack, 1x VGA Port and 2x USB3.0 Ports. 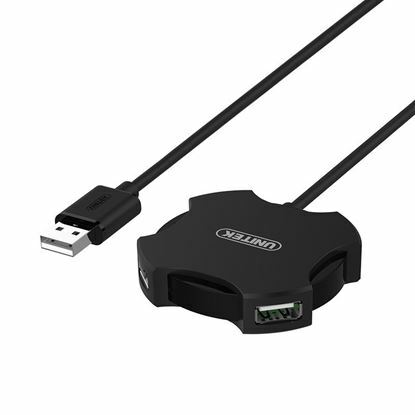 UNITEK USB3.1 USB-C Docking Station . 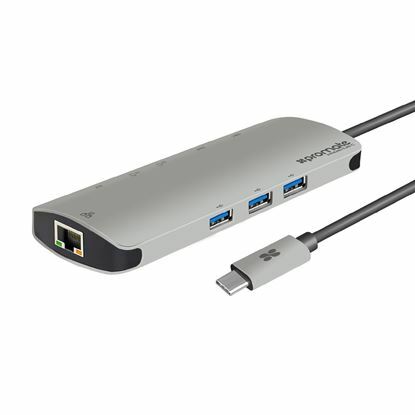 USB-C devices MacBook, Chromebook UNITEK USB3.1 USB-C Docking Station . USB-C devices MacBook, Chromebook Pixel. 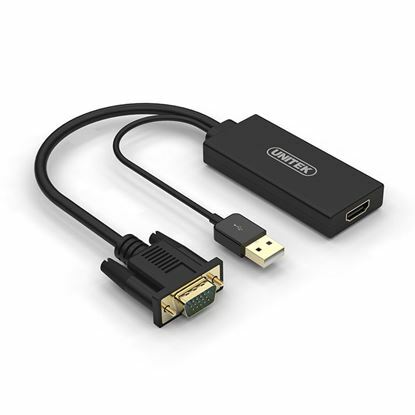 1x HDMI 4K port. SD4.0 card slot. 2x USB 3.1 ports. 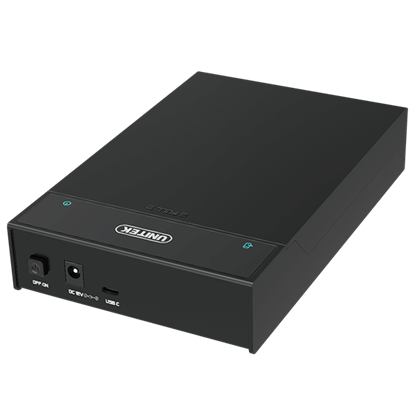 UNITEK USB3.1 SATA HDD enclosure. Supports 2.5" SATA HDD. 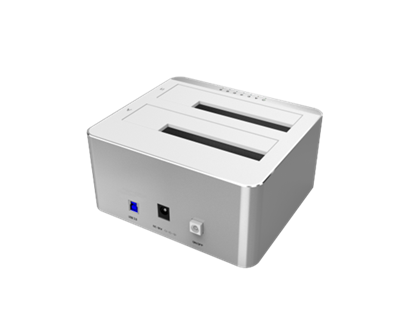 UNITEK USB3.1 SATA HDD enclosure. Supports 2.5" SATA HDD. Supports SATA 6G/3G/1.5G. Supports UASP (USB Attached SCSI Protocol) accelerates data trasnfer speed. Plug and Play. 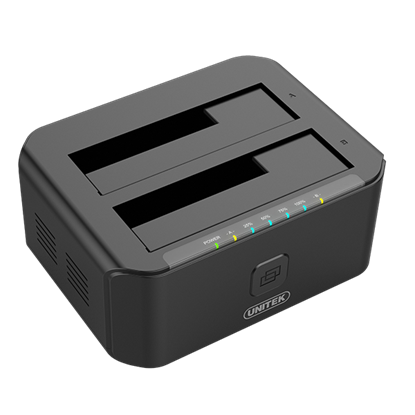 UNITEK USB3.1 SATA HDD enclosure. Supports 3.5"/2.5" SATA HDD. UNITEK USB3.1 SATA HDD enclosure. Supports 3.5"/2.5" SATA HDD. Supports SATA 6G/3G/1.5G. 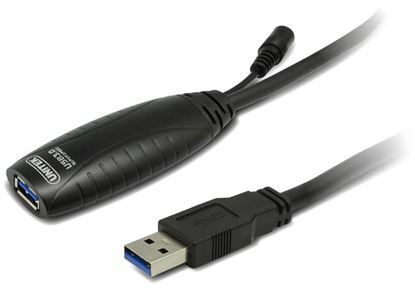 Supports UASP (USB Attached SCSI Protocol) accelerates data transfer speed. Includes Power Adapter. UNITEK USB3.1 Gen2 Type-C to M.2 SSD (PCIe/NVMe) Enclosure. UNITEK USB3.1 Gen2 Type-C to M.2 SSD (PCIe/NVMe) Enclosure. 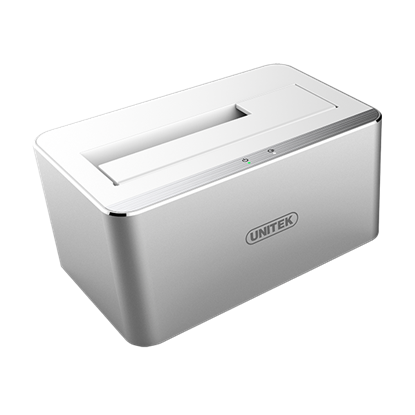 UNITEK USB3.0 SATA HDD enclosure. Supports 3.5"/2.5" SATA HDD. 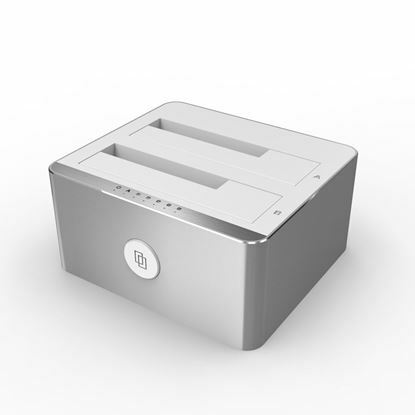 UNITEK USB3.0 SATA HDD enclosure. Supports 3.5"/2.5" SATA HDD. Supports SATA 6G/3G/1.5G. 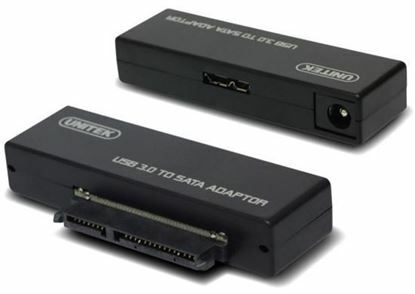 Supports UASP (USB Attached SCSI Protocol) for 30% faster transfer. Incl. Power Adapter. 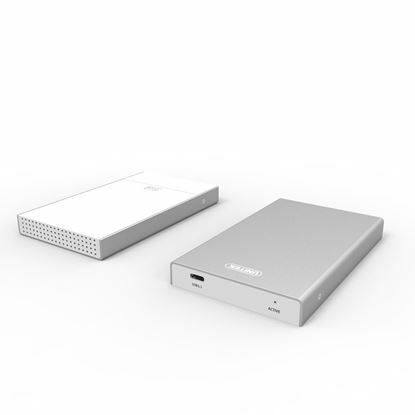 UNITEK USB3.0, M.2 SSD External Enclosure. Supports M.2 SSD 30/42/ UNITEK USB3.0, M.2 SSD External Enclosure. Supports M.2 SSD 30/42/ 60/80mm. 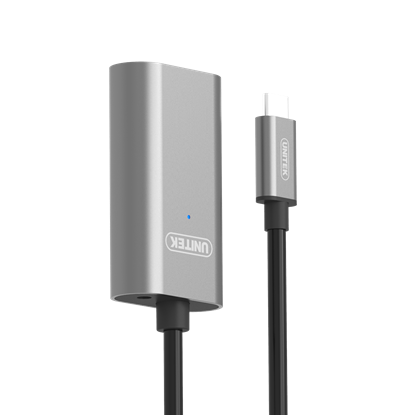 USB3.0 Type-C up to 5Gbps data transfer speed. Auto sleep energy save mode. UNITEK USB3.1 Type-C to SATA 6G 2.5"/3.5" Hard Drive Enclosure. UNITEK USB3.1 Type-C to SATA 6G 2.5"/3.5" Hard Drive Enclosure. 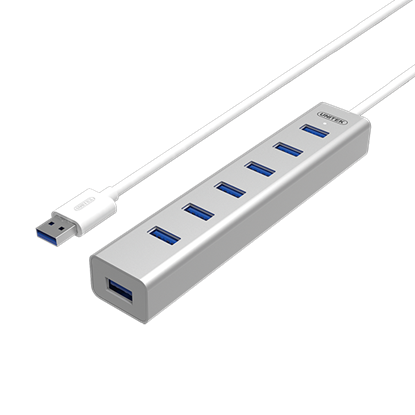 USB3.1 max transfer up to 10Gbps. SATA3 6Gbps. Plug & play. 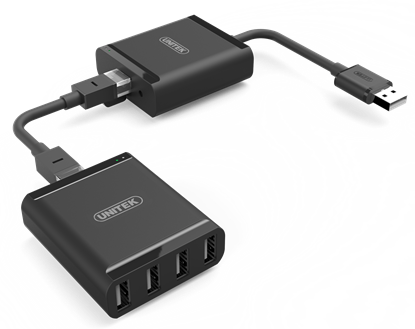 UNITEK Compact Dual USB3.1 Type-C Multi-Port Hub for Macbook Pro. 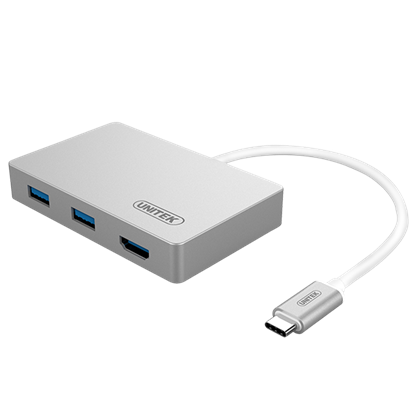 UNITEK Compact Dual USB3.1 Type-C Multi-Port Hub for Macbook Pro. 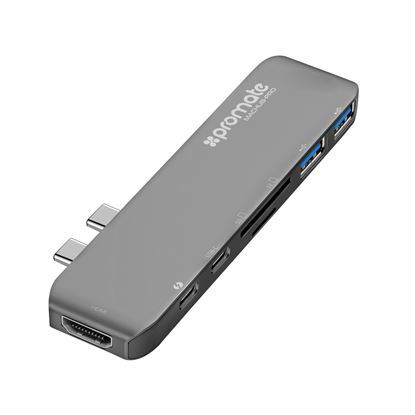 2x USB-A, 1x USB-C PD/Data, 1x HDMI, 1x GE converter. 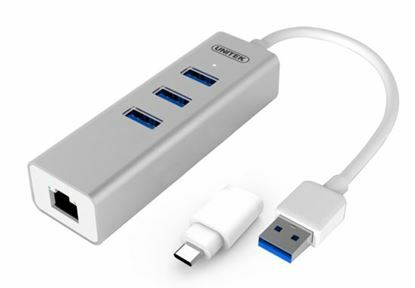 UNITEK USB3.0, 7 Port Aluminium Hub with power adapter. 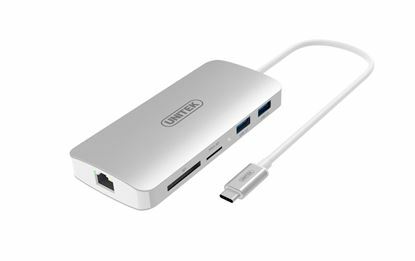 UNITEK USB3.0, 7 Port Aluminium Hub with power adapter. 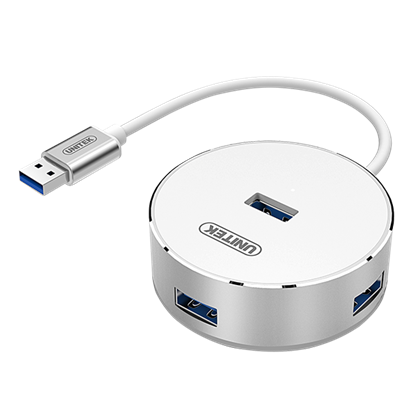 UNITEK USB3.0, 4 Port Aluminium Hub. 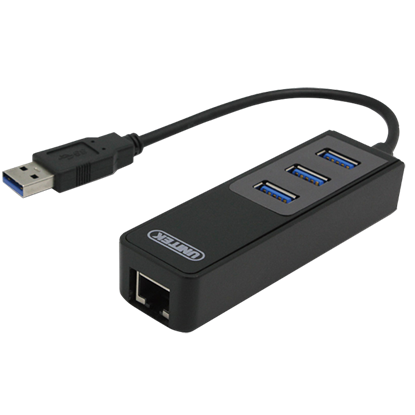 USB3.0 backward compatible UNITEK USB3.0, 4 Port Aluminium Hub. 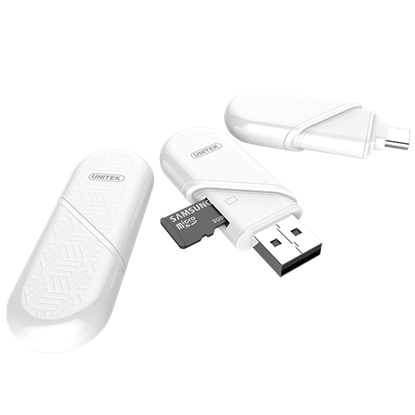 USB3.0 backward compatible with USB2.0/1.1. Plug & play. 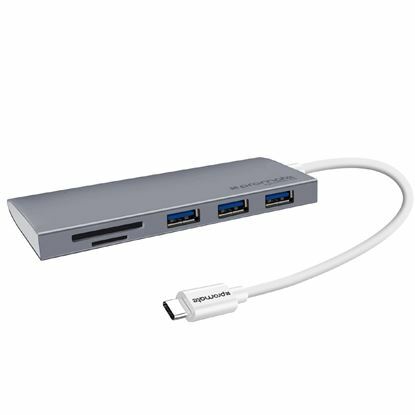 UNITEK USB3.0 USB-C Aluminium Multiport Hub with Power Delivery UNITEK USB3.0 USB-C Aluminium Multiport Hub with Power Delivery (2x Port USB3.0 + Gigabit Ethernet Converter). Power delivery profile 4, 20V/3A. UNITEK 10port USB Charging Station 8x 5V/2.4A & 2x 5V/1A simultaneous UNITEK 10port USB Charging Station 8x 5V/2.4A & 2x 5V/1A simultaneous charging. 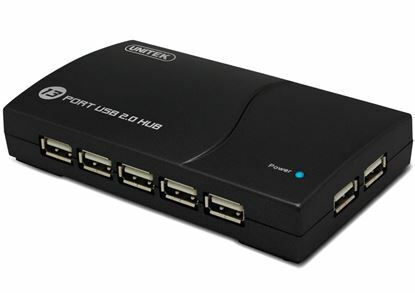 UNITEK USB2.0, 4 Port Hub. Sleek Aluminium Apple Style UNITEK USB2.0, 4 Port Hub. Sleek Aluminium Apple Style Housing. Data Transfer Speed up to 480Mbps. Backward Compatible with USB1.1. Plug and play. UNITEK USB2.0, 3 Port Hub + Stereo Audio Port. UNITEK USB2.0, 3 Port Hub + Stereo Audio Port. 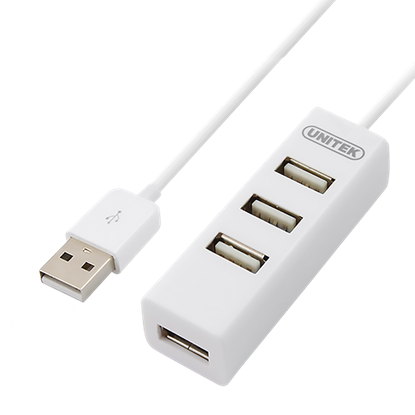 UNITEK 5m USB3.0 Active Extension Cable. UNITEK 5m USB3.0 Active Extension Cable. 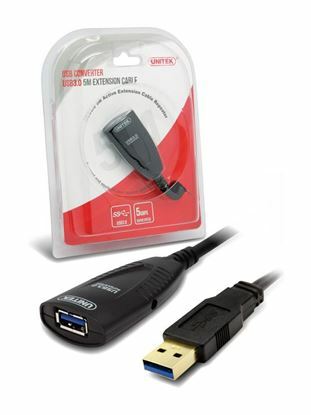 UNITEK USB1.1 Extension Over RJ45 (up to 60m). 12Mbps. Plug and play. 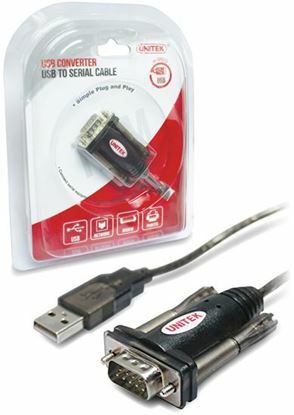 UNITEK USB1.1 Extension Over RJ45 (up to 60m). 12Mbps. Plug and play. 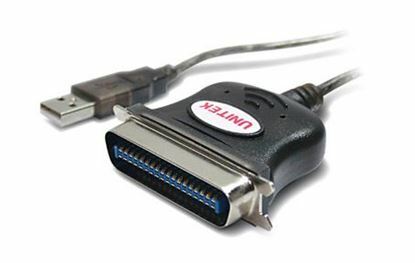 UNITEK 1.5m USB to Serial DB9 RS232 Cable. Windows 10 compatible. 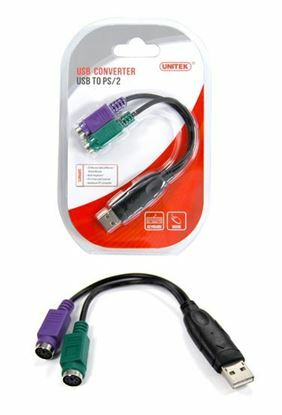 UNITEK 1.5m USB to Serial DB9 RS232 Cable. Windows 10 compatible. 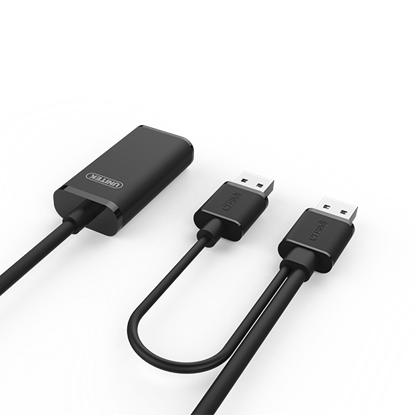 UNITEK Smart Device to HDMI Display Cable. 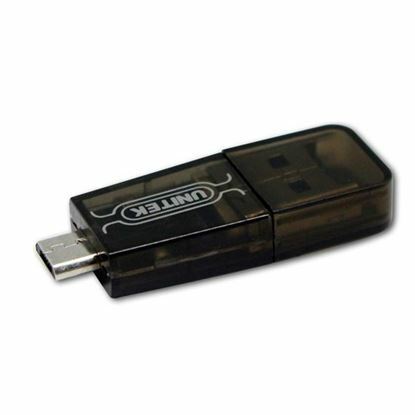 Connect mobile to larger UNITEK Smart Device to HDMI Display Cable. Connect mobile to larger HDMI screen. Max Res: 1080p Connect device to USB-A port. Compatible with iOS8+ and Andriod 4.4 +. Plug and play. 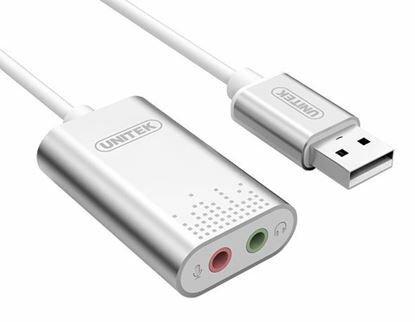 UNITEK USB To Stereo Audio Converter. USB2.0. DAC up to UNITEK USB To Stereo Audio Converter. USB2.0. DAC up to 192KHz 16/24bit output. ADC up to 96KHz 16bit output. Plug & Play. 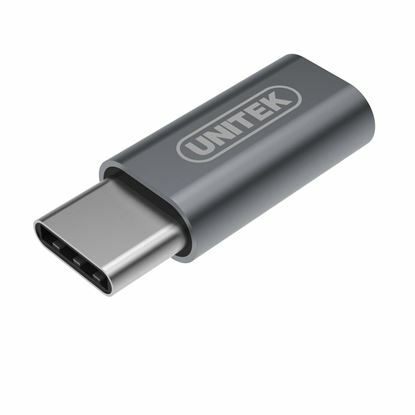 UNITEK USB-C to Stereo Audio Converter. 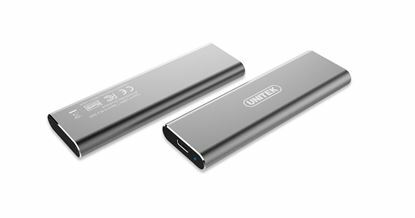 DAC supports up to UNITEK USB-C to Stereo Audio Converter. DAC supports up to 192KHz 16/24bit output. Plug and play. 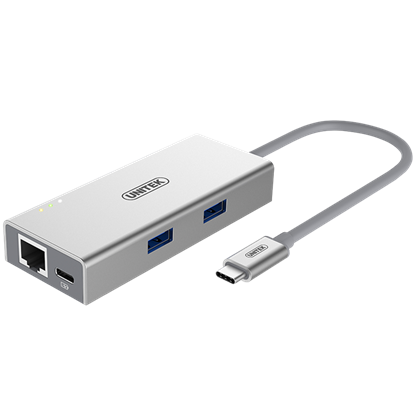 UNITEK USB3.0 to Gigabit Ethernet Adaptor. Wake-on-LAN full duplex. 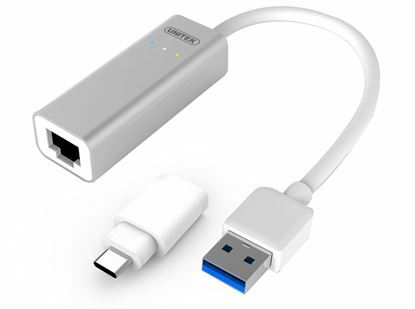 UNITEK USB3.0 to Gigabit Ethernet Adaptor. Wake-on-LAN full duplex. 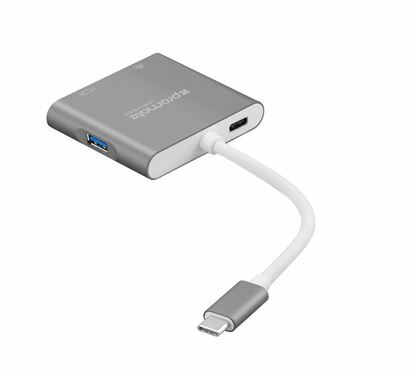 USB Type-C adaptor included. 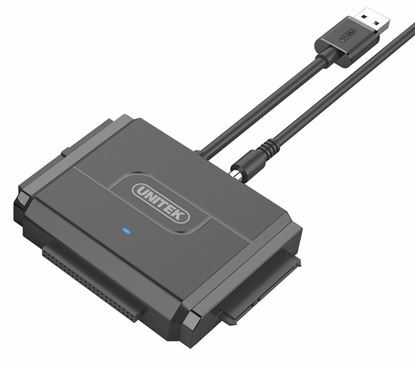 UNITEK USB3.0 to HDMI Adapter Max Res: 1080p. 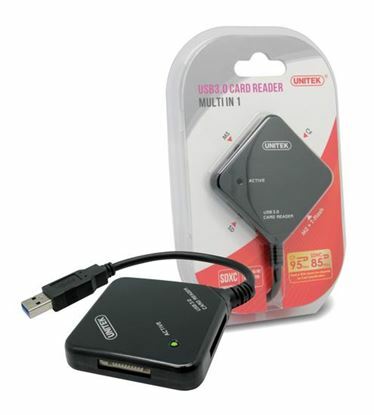 UNITEK USB3.0 to HDMI Adapter Max Res: 1080p. 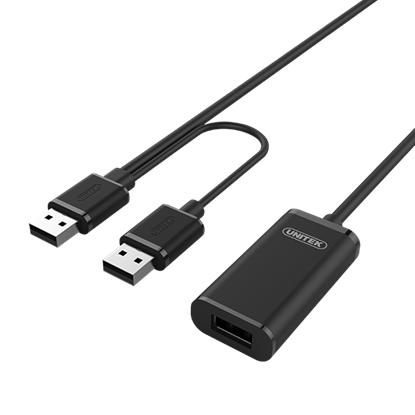 UNITEK USB3.0 to DisplayPort adaptor. 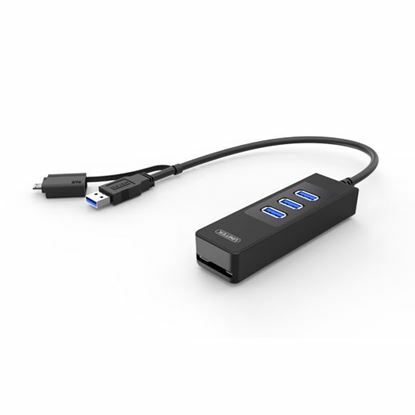 UNITEK USB3.0 to DisplayPort adaptor. 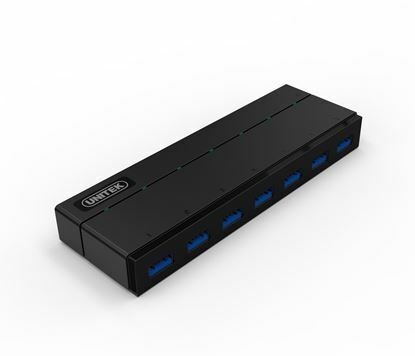 UNITEK USB3.0 Type-C Multiport Hub with Power Delivery, 3x Port UNITEK USB3.0 Type-C Multiport Hub with Power Delivery, 3x Port USB3.0 + 1x HDMI. Support PD Power Profile 4. 20V/3A. 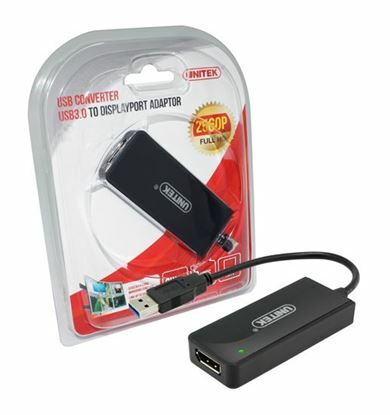 UNITEK USB3.0 to DVI/VGA Adapter with DVI to VGA Converter. 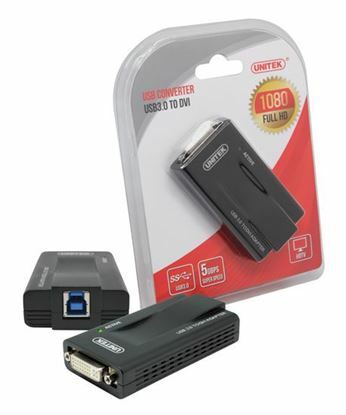 UNITEK USB3.0 to DVI/VGA Adapter with DVI to VGA Converter. 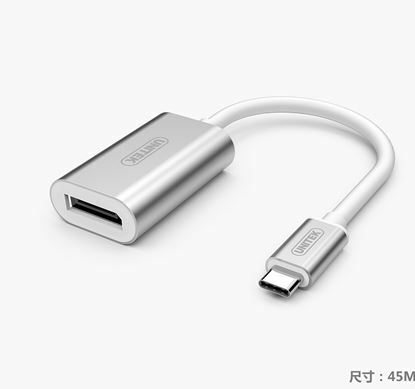 UNITEK USB-C to VGA Aluminium Converter. 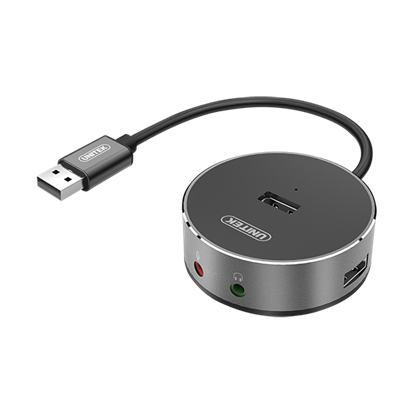 Supports 1080p@60Hz UNITEK USB-C to VGA Aluminium Converter. Supports 1080p@60Hz high-definition. Plug & play. 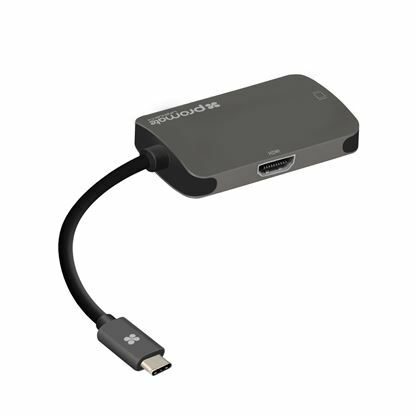 UNITEK USB3.1 Type-C to HDMI (4K) Converter. HDMI 2.0 4K@60Hz. 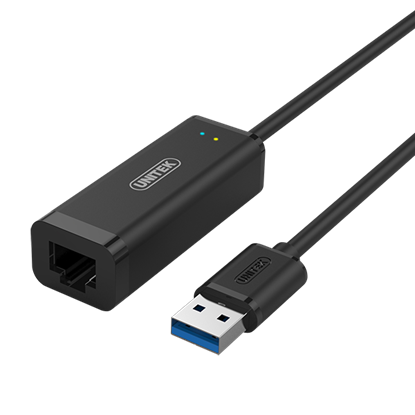 UNITEK USB3.1 Type-C to HDMI (4K) Converter. HDMI 2.0 4K@60Hz. HDCP 1.4 & 2.2 support. Plug & Play. 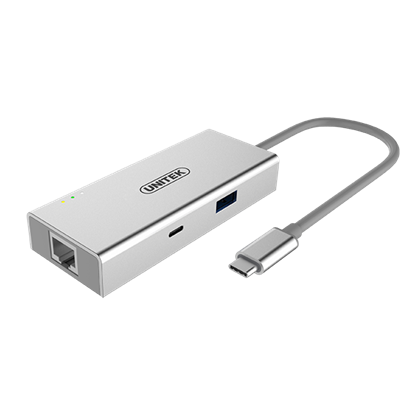 UNITEK USB3.0 Type-C to DisplayPort Converter. 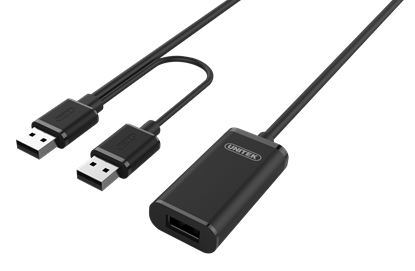 UNITEK USB3.0 Type-C to DisplayPort Converter. 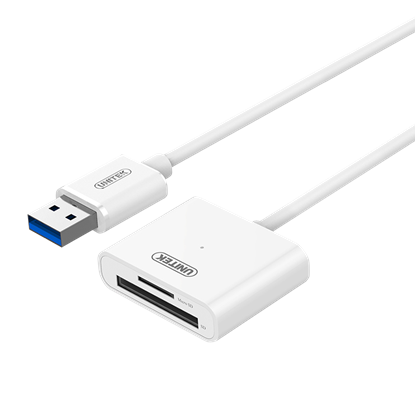 UNITEK USB3.1 Type-C to USB-A Adapter. Converts USB-C to USB-A. 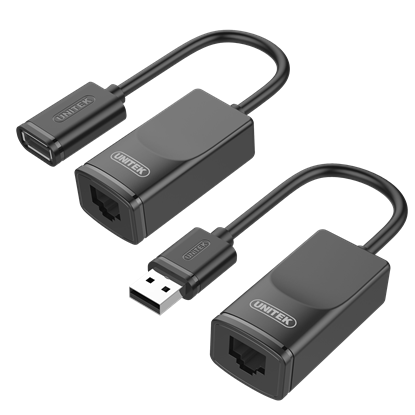 UNITEK USB3.1 Type-C to USB-A Adapter. Converts USB-C to USB-A. 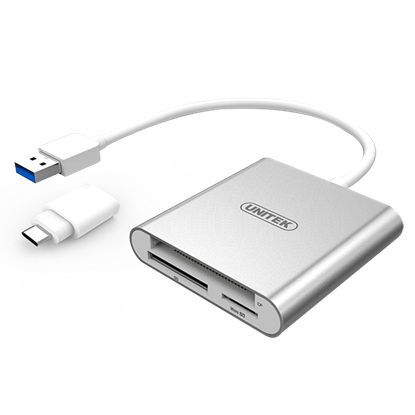 UNITEK USB3.1 Type-C To HDMI + VGA Converter, Silver Color. 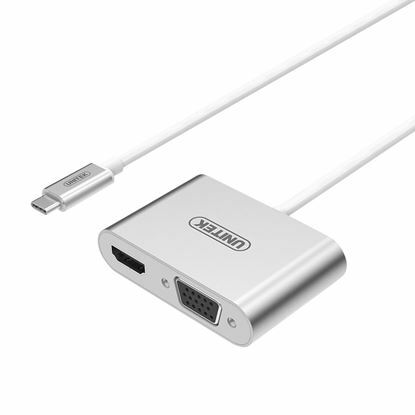 UNITEK USB3.1 Type-C To HDMI + VGA Converter, Silver Color. 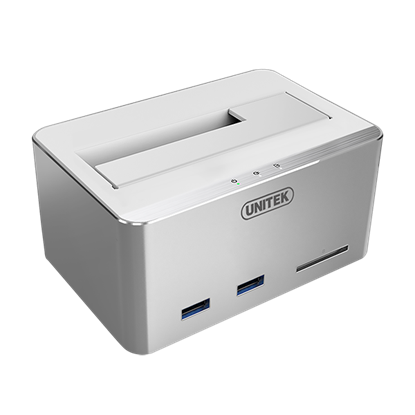 UNITEK USB3.0 to Multi-In-One Aluminium Card Reader (with USB UNITEK USB3.0 to Multi-In-One Aluminium Card Reader (with USB Type-C Adapter). Bus powered. USB 3.0 super-speed. 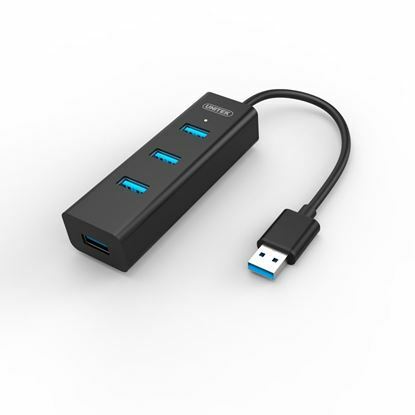 UNITEK USB3.0 Type-C Multi-port Hub with Power Delivery, 2x Port UNITEK USB3.0 Type-C Multi-port Hub with Power Delivery, 2x Port USB 3.0 + 2x Port SD/Micro SD Card Reader. UNITEK USB3.0 Type-C/A Micro SD Card Reader. Double sided 1x USB UNITEK USB3.0 Type-C/A Micro SD Card Reader. Double sided 1x USB Type-C, 1x Type-A. Read/write LED status.